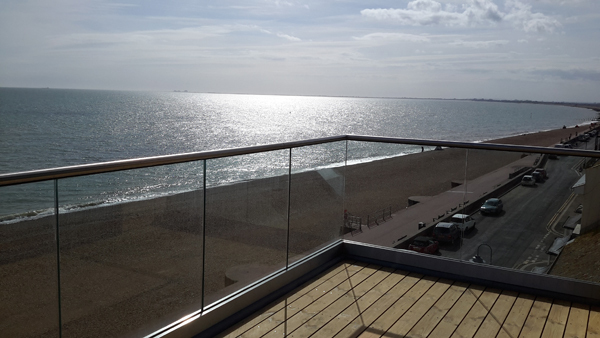 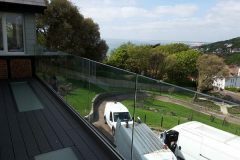 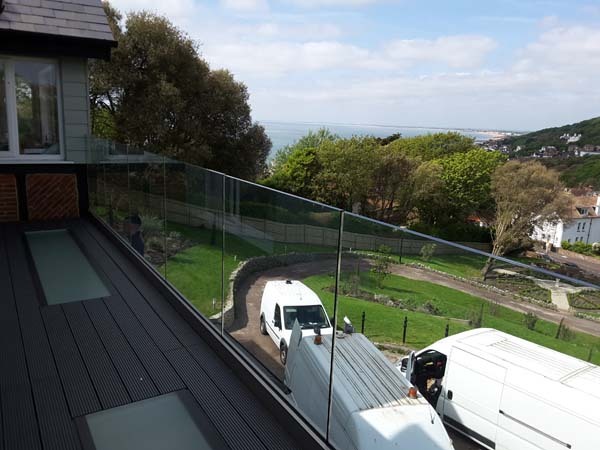 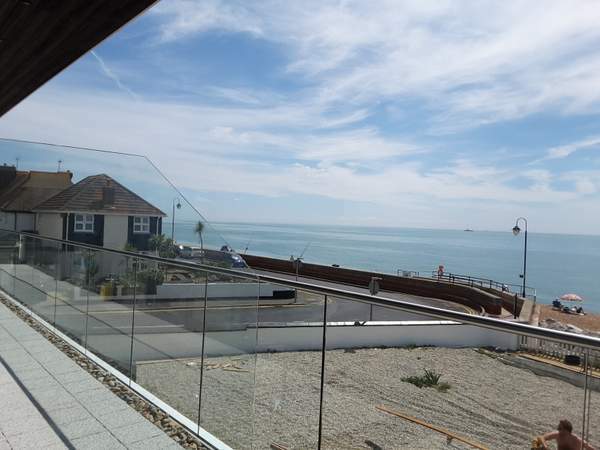 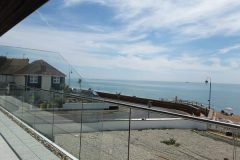 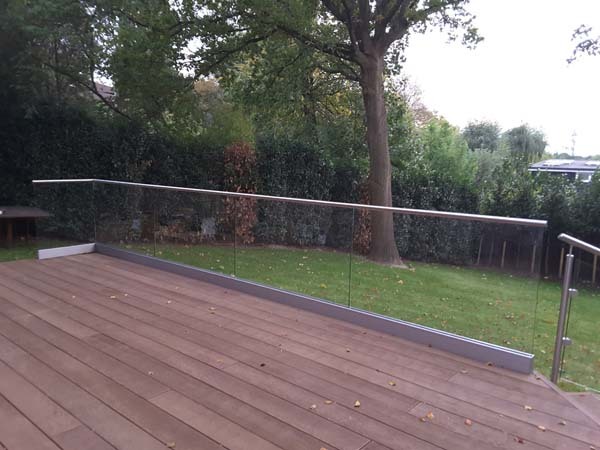 Glass balustrades give a beautiful finish and allow untainted views they also create a feeling of light and space. 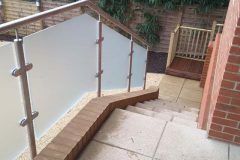 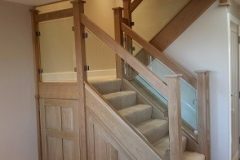 Glass balustrades can be used for staircases, balconies and terraces for the very best glass balustrades in London use Skotch Glass. 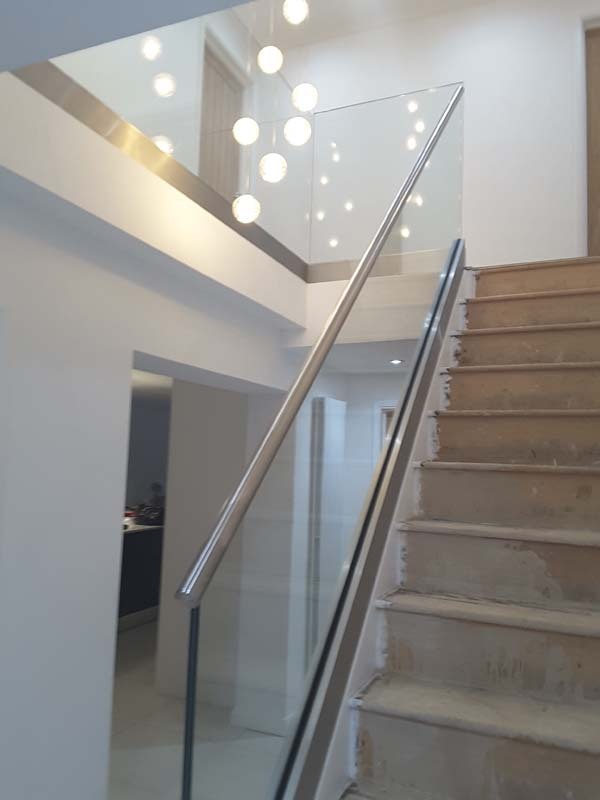 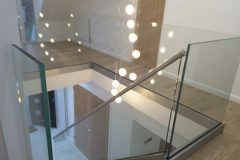 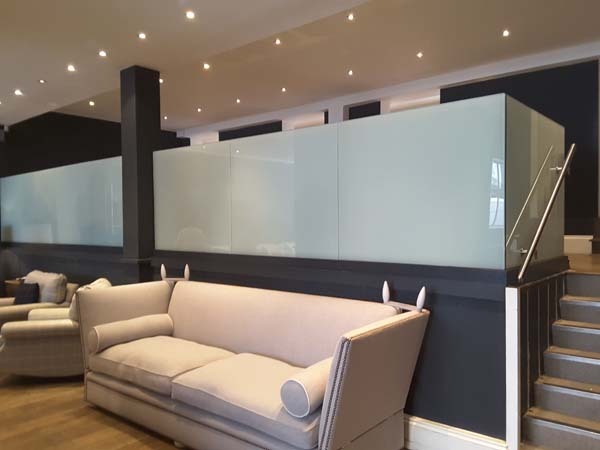 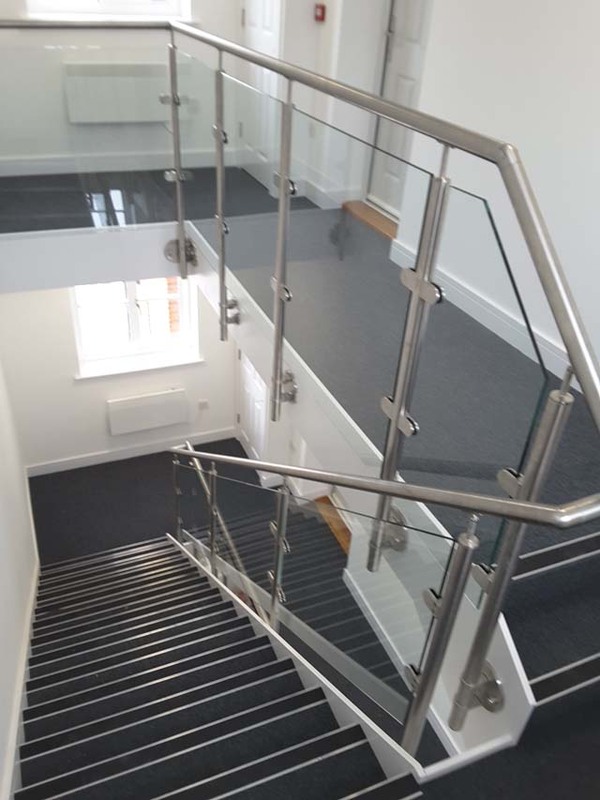 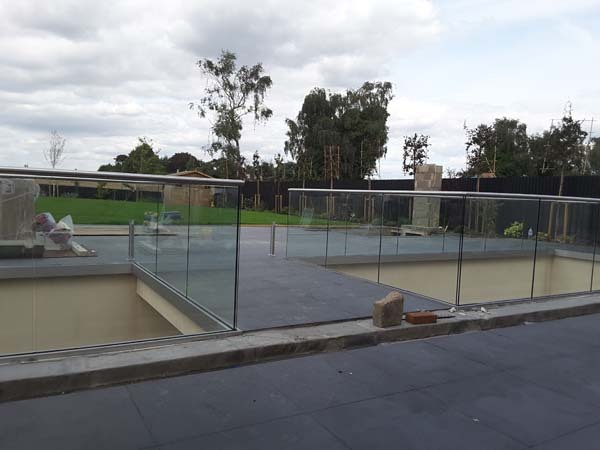 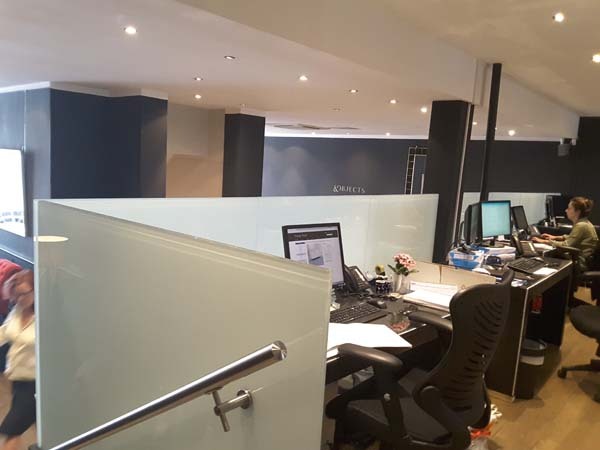 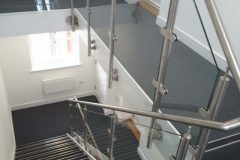 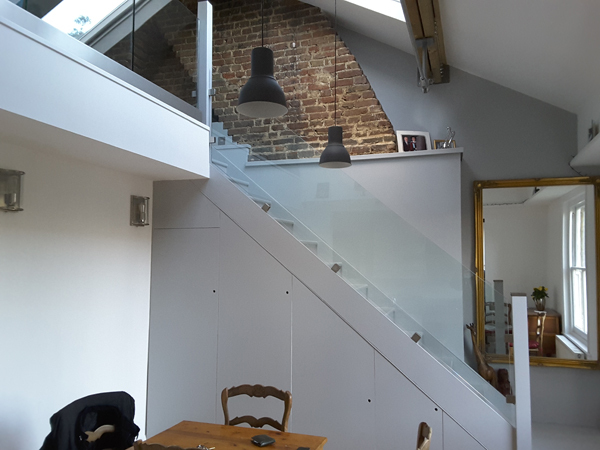 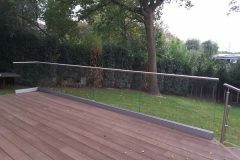 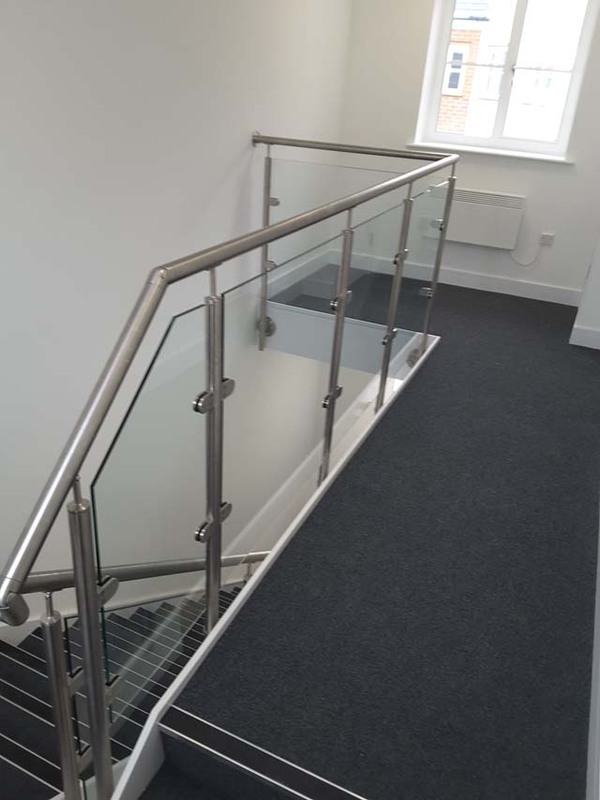 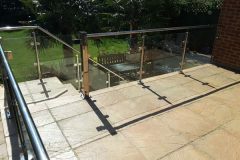 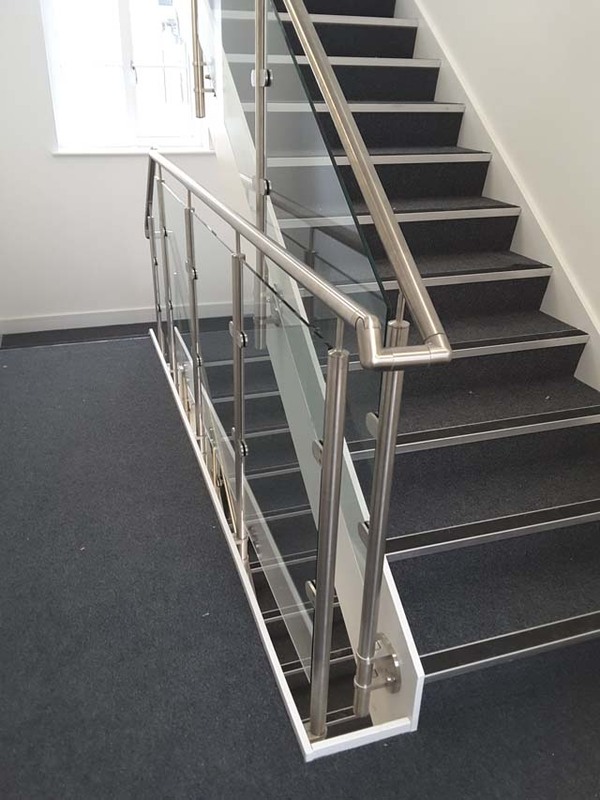 Skotch Glass have installed hundreds of Glass balustrades in London and have a proven track record of delivering a quality finish time after time. 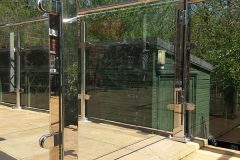 if you are looking for something out of the ordinary, we are a truly bespoke glass company that can fulfil your requirements. 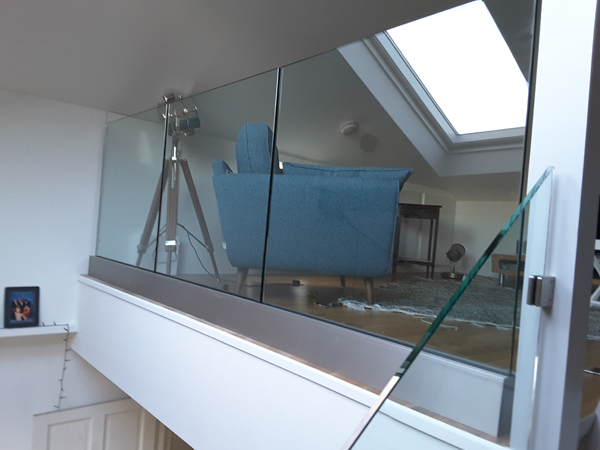 If you are moving to a new property and are considering Glass Splashbacks or Shower Screens we also supply and install these products. 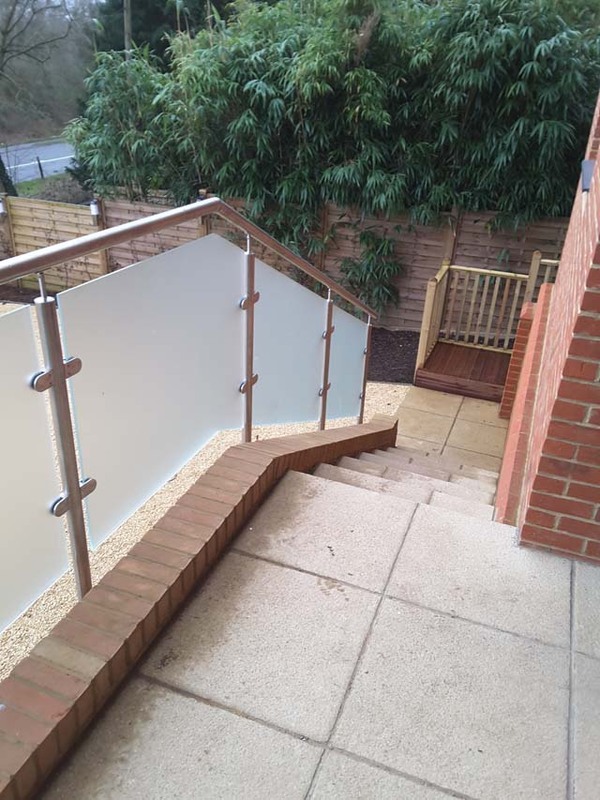 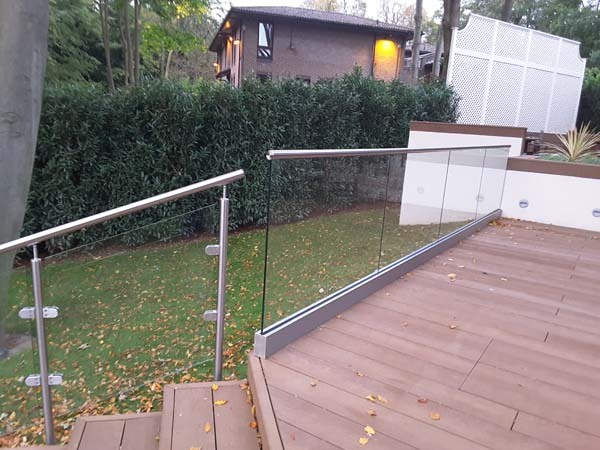 Your Glass Balustrades can be finished in a variety of styles included brush finished, or satin finished stainless steel, for a minimalist look many of our customers opt for frameless glass balustrades. 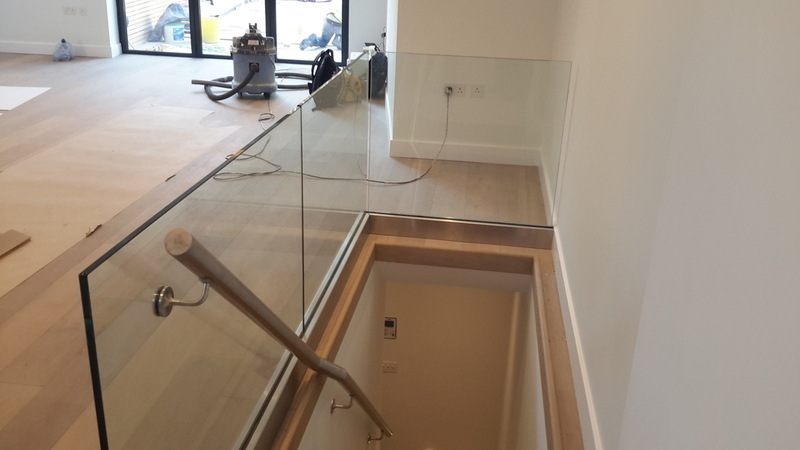 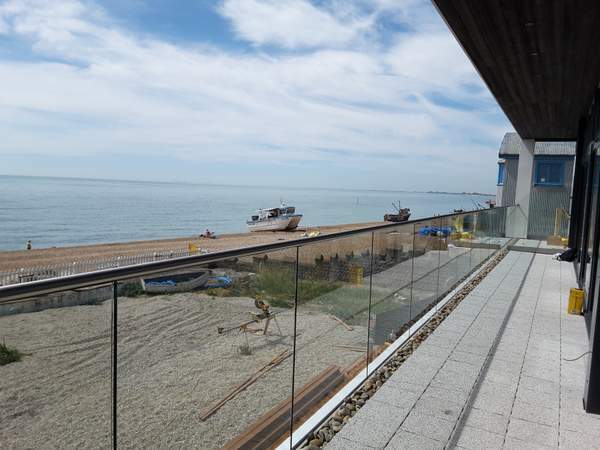 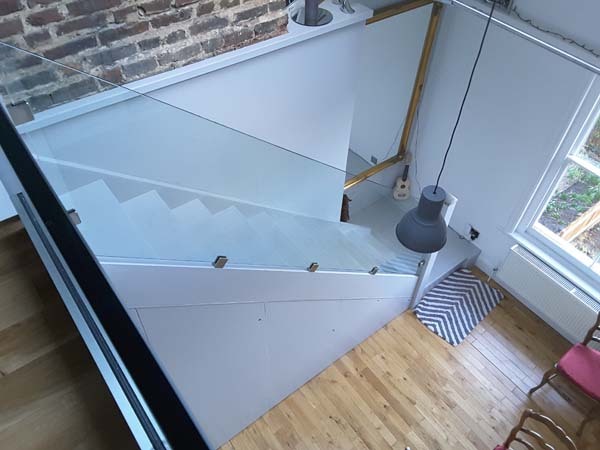 Our glass is toughened to BS EN 1250 and is of the highest quality, Skotch Glass can also provide low iron glass for the ultimate crystal clear fish all of our glass balustrades in London are fitted by our team of qualified installers ensuring the best possible result. 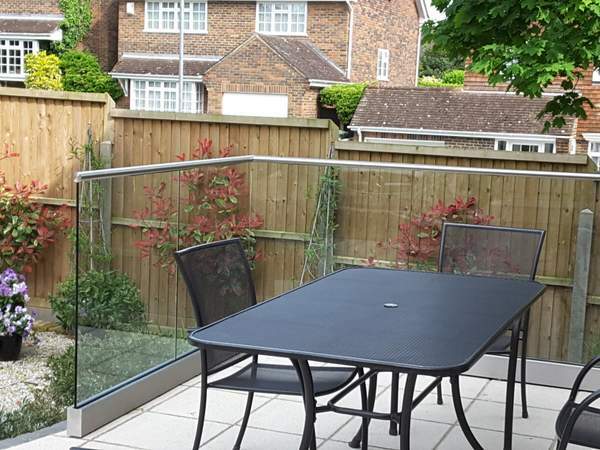 Based in London or the south east? 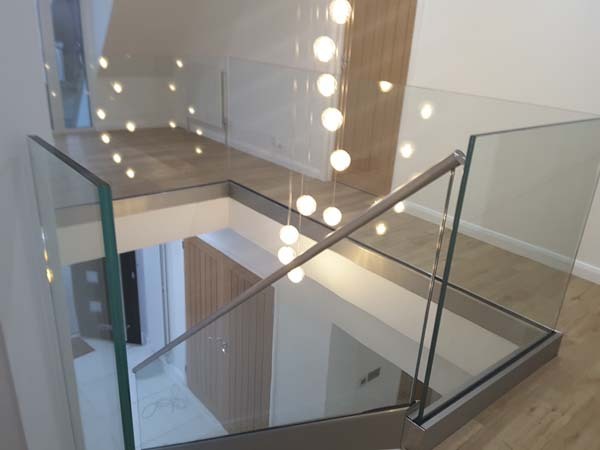 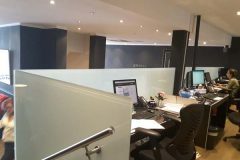 Then we can arrange for your glass balustrades or any type of architectural glass including partitions and walls, screens even glass floors and walkways to have any type of finish. 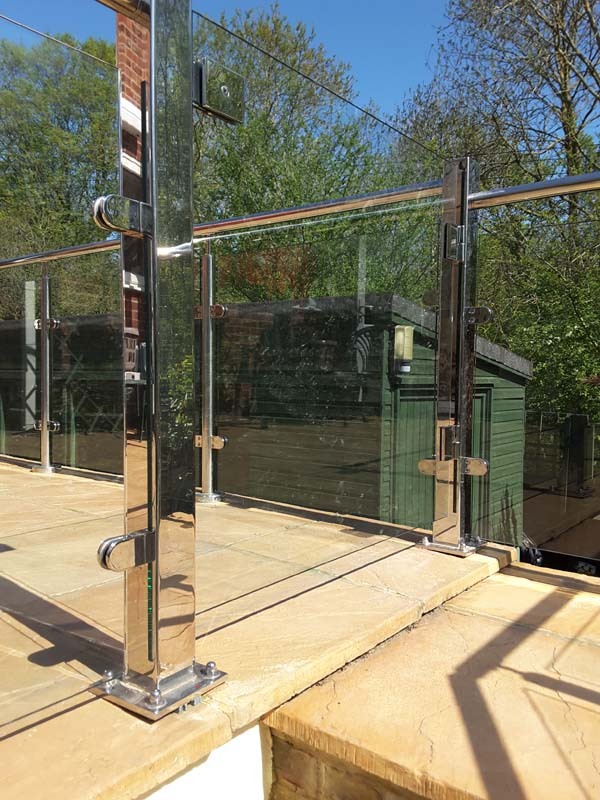 A range of colours are available, we can even colour match or frost all or any part of the glass, we can fit stainless steel or wooden surrounds. 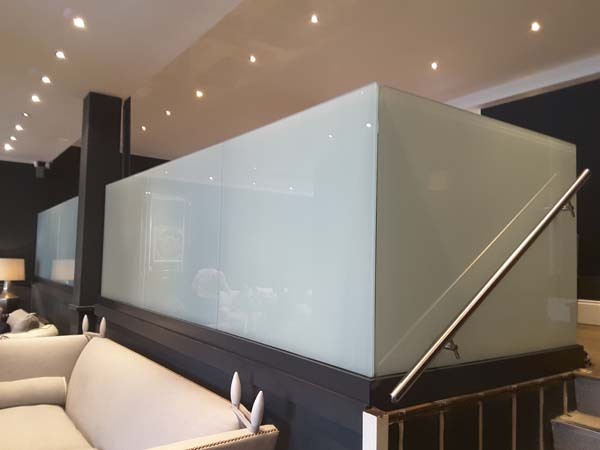 At Skotch Glass, we produce all of our own architectural glass to the highest quality. 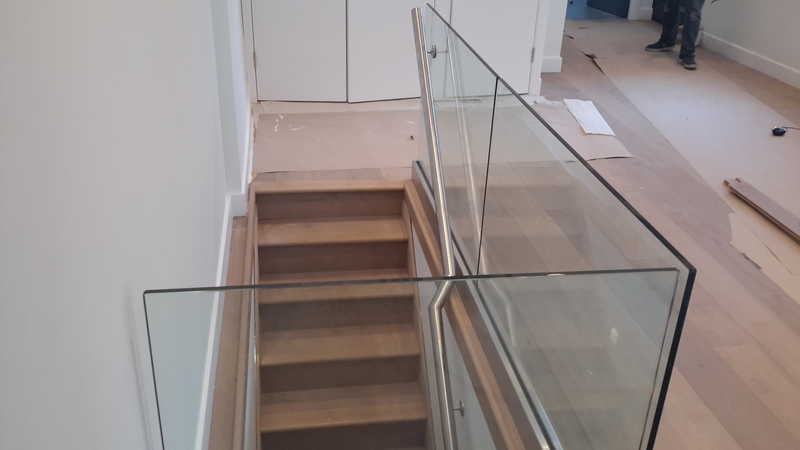 Call us for a site visit we will be happy to advise and assist, with 30 years experience in fitting bespoke glass balustrades in London Skotch Glass have the know how to complete even the most complex architectural glass Installations. 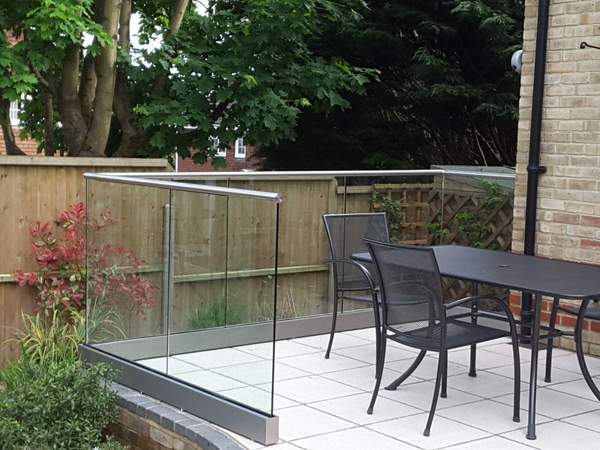 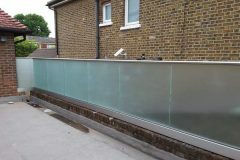 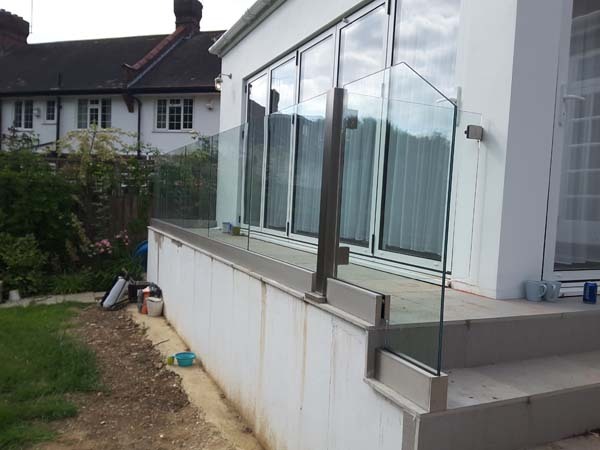 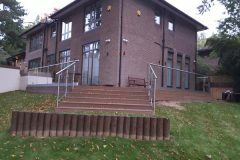 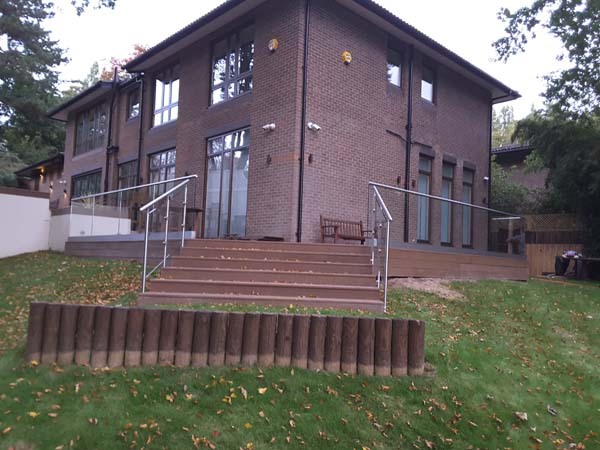 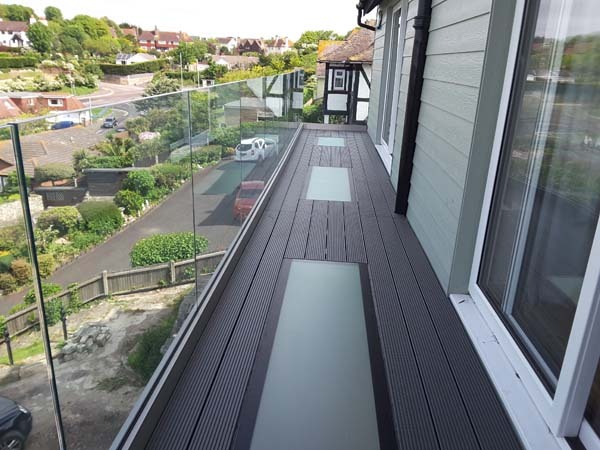 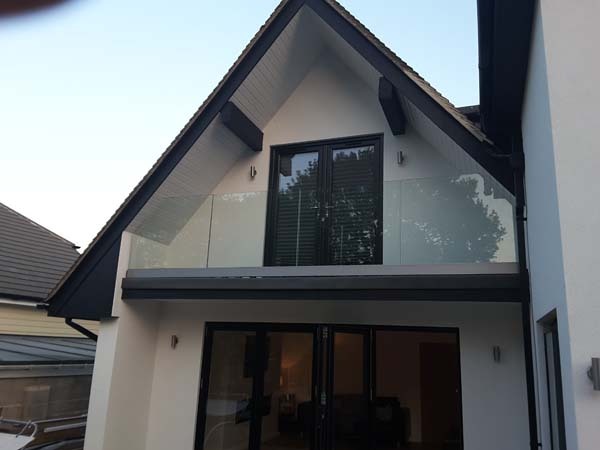 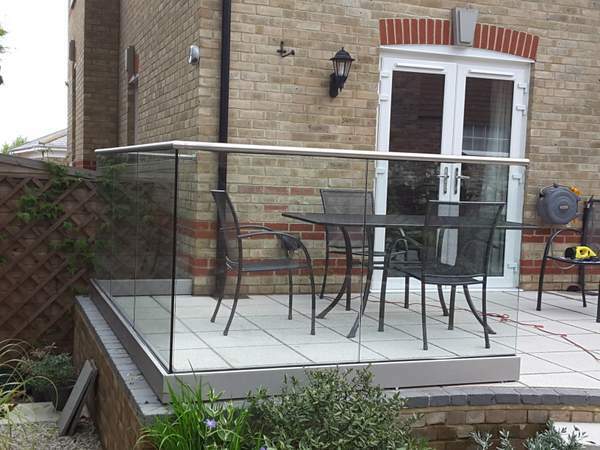 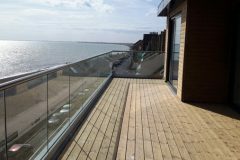 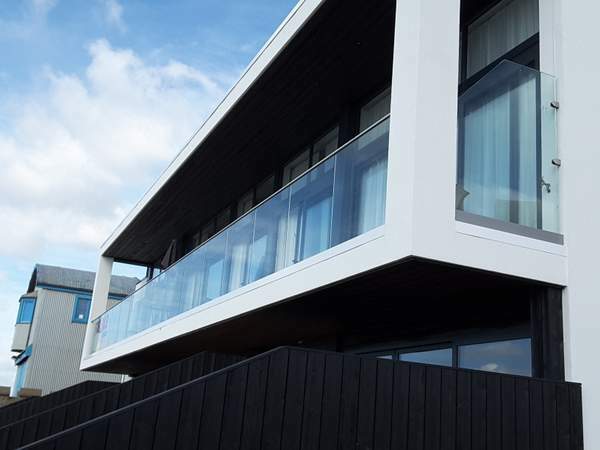 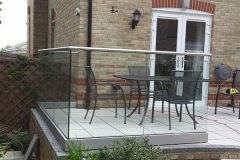 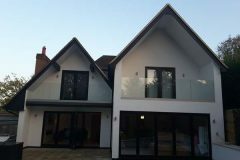 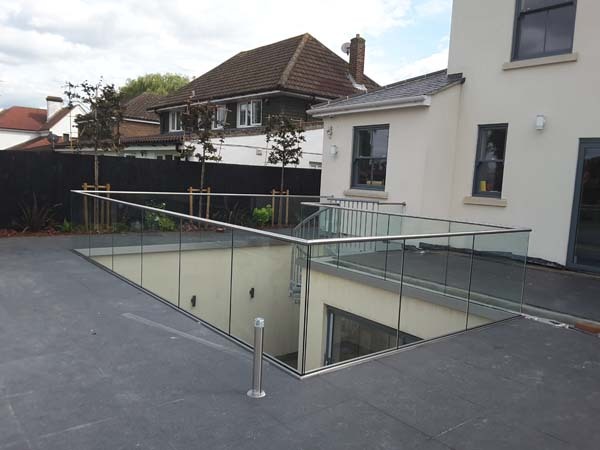 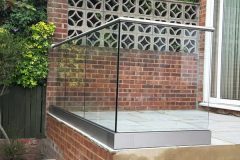 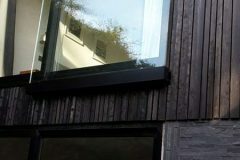 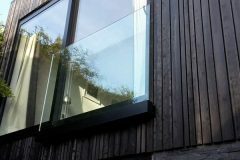 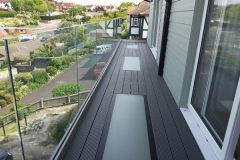 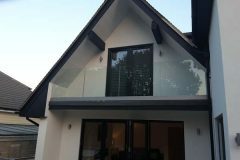 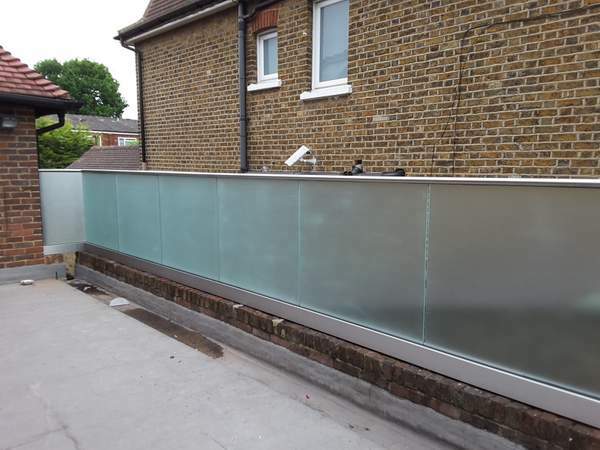 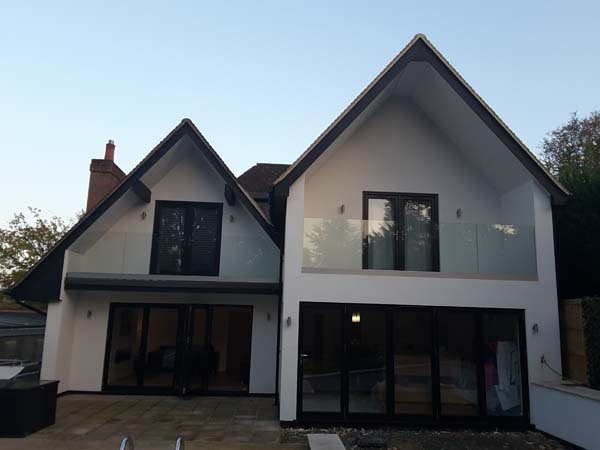 There are several uses for our bespoke external glass balustrades in London, all of which will enhance the exterior of your home or commercial property; architectural glass installations can provide a high end finishing touch to balconies and decked areas. 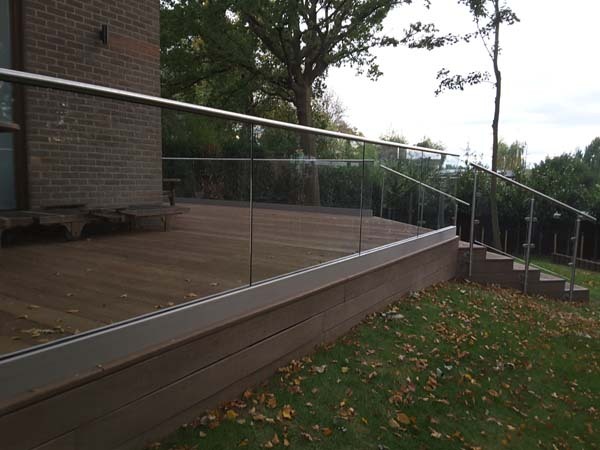 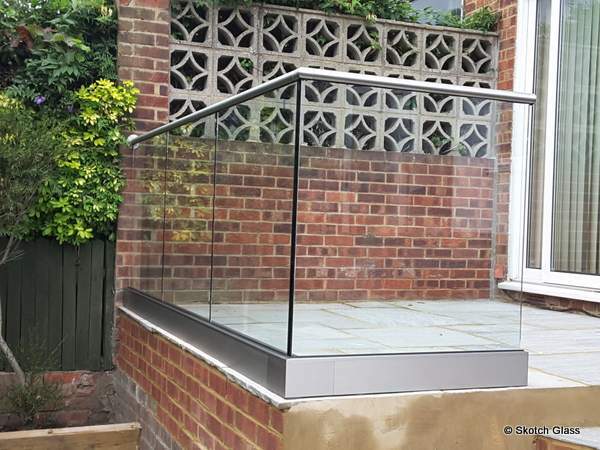 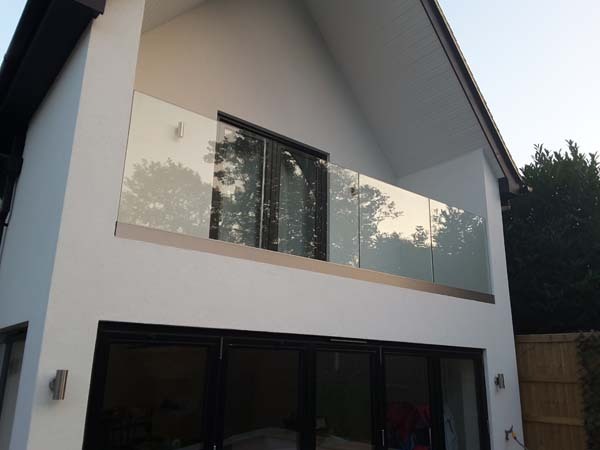 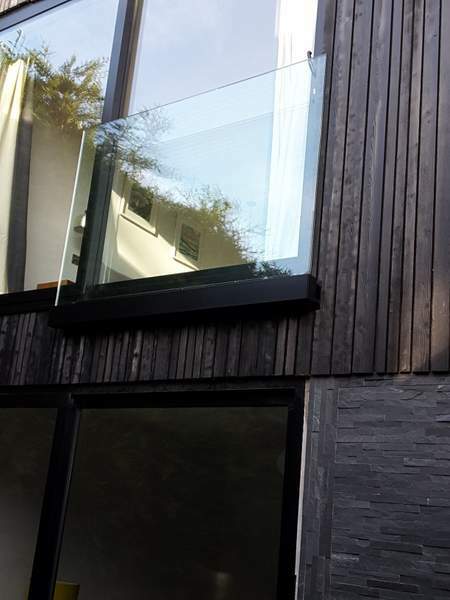 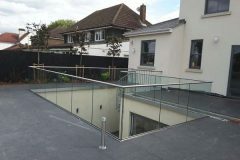 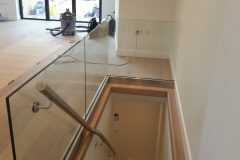 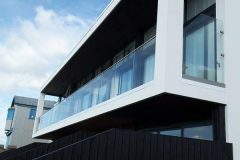 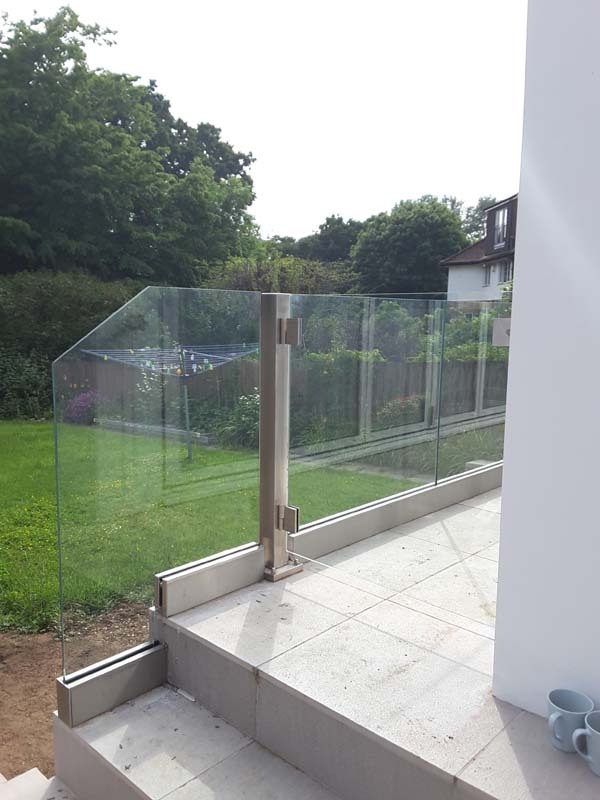 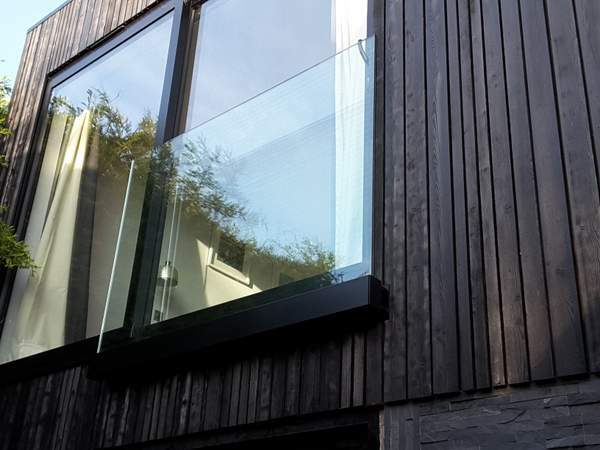 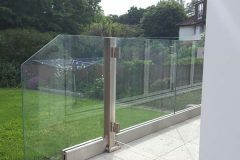 Safety: All external glass balustrades in London installed by the team at Skotch Glass are produced from toughened laminated glass which conforms to BS EN 1250 ensuring your glass balustrades in London not only create a high end modern finish but are safe for the family too. 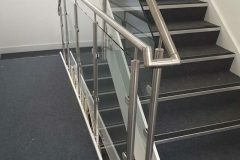 Finishes: Handrails and supports can be powder coated or finished in brushed stainless steel, low iron glass can be provided for that ultimate crystal finish. 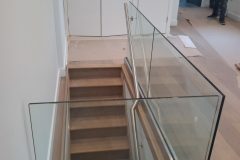 Want your Glass to be unique? 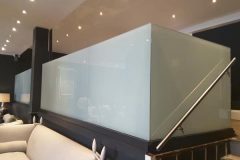 Glass is also available in a range of colours. 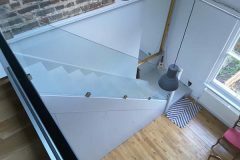 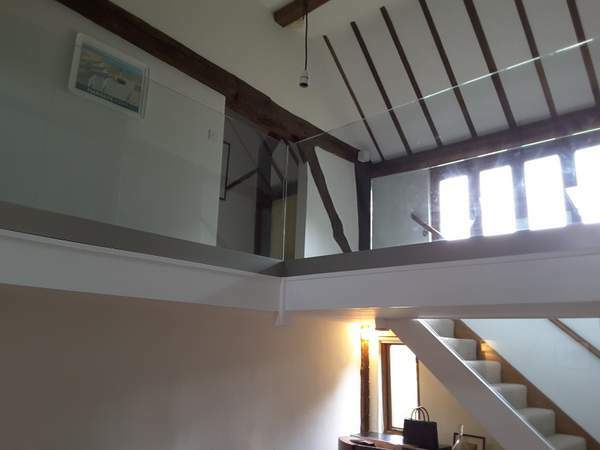 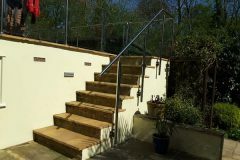 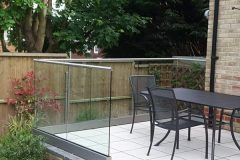 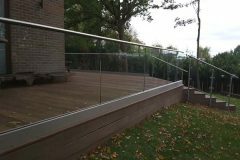 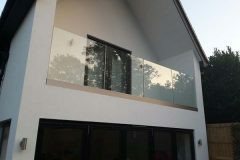 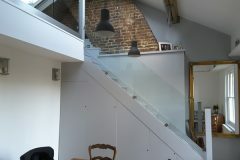 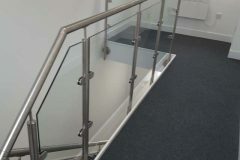 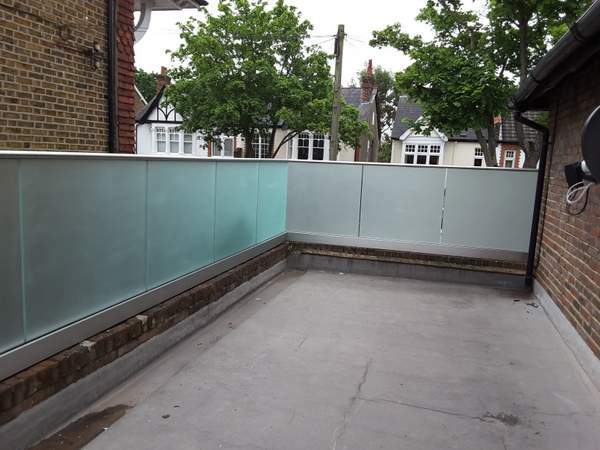 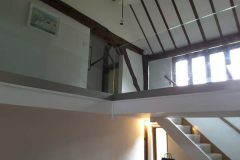 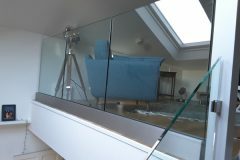 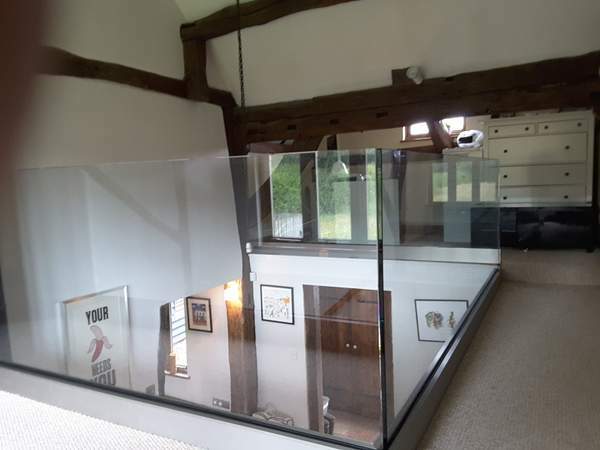 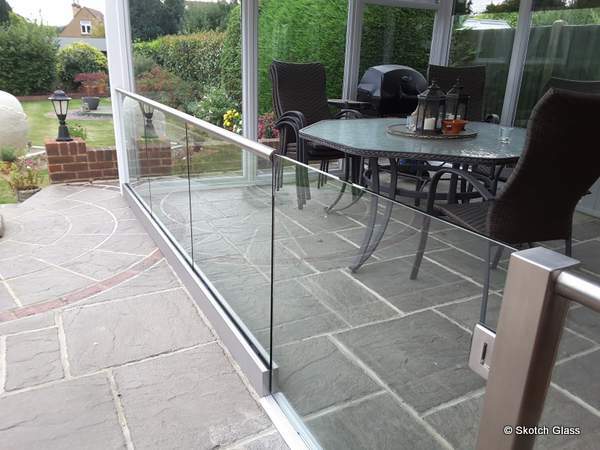 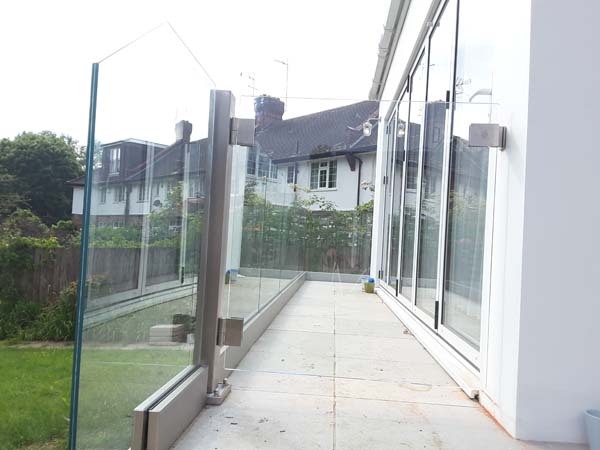 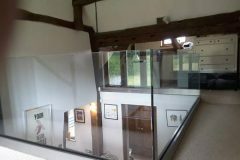 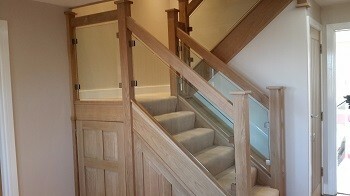 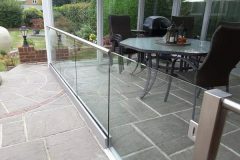 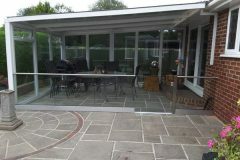 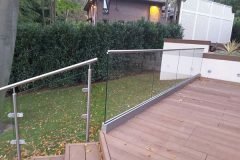 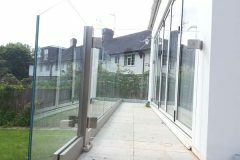 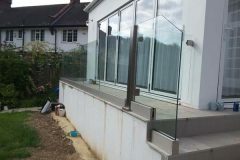 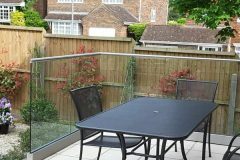 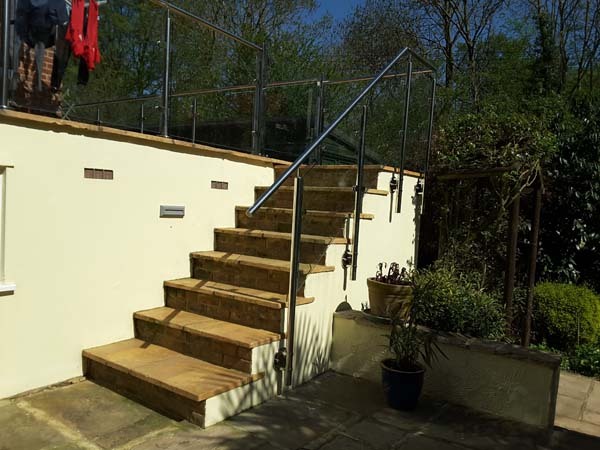 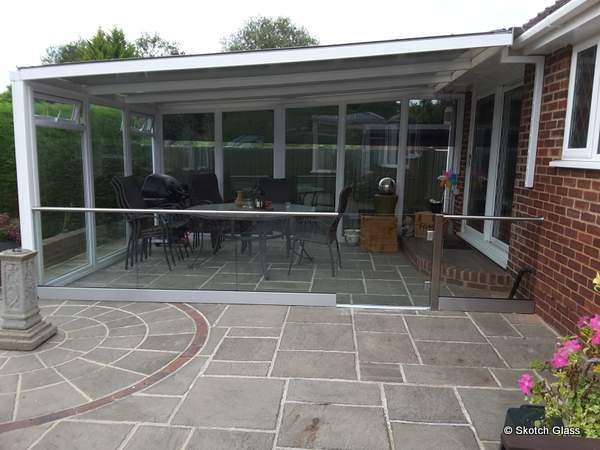 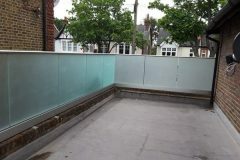 Frameless Glass Balustrades: Want your balustrades to appear as if they are floating? 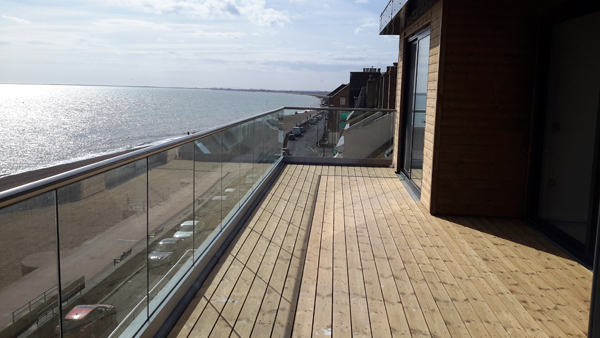 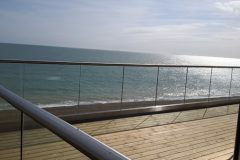 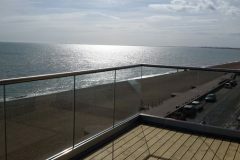 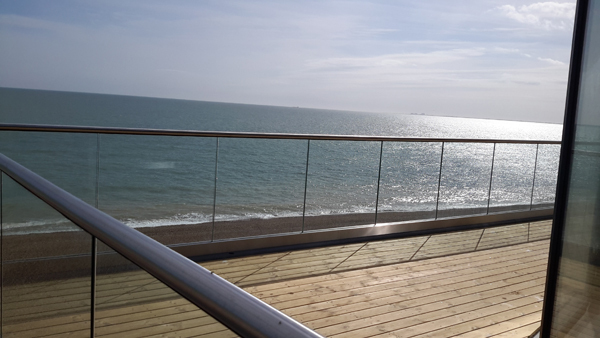 Frameless glass balustrades provide totally uninterrupted views. 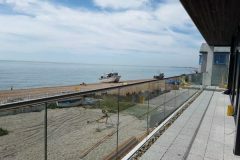 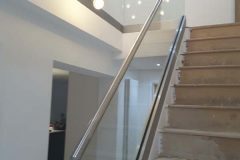 Skotch Glass experts in the installation of frameless glass balustrades.